No material feels as smooth and sturdy under a chef's knife as a heavy, high-quality butcher block. 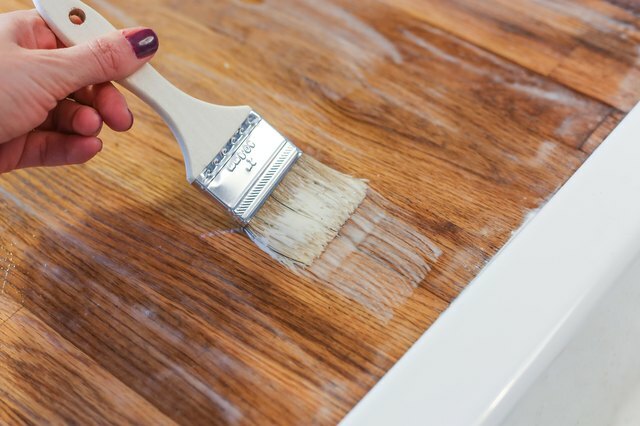 A well-maintained butcher block lasts a lifetime with proper care, and a general all-purpose wood treatment like IKEA’s proprietary Behandla makes regular cleaning and sanitizing easy. 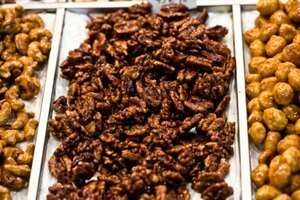 Behandla consists of food-safe raw linseed oil, a natural preservative derived from flaxseeds. 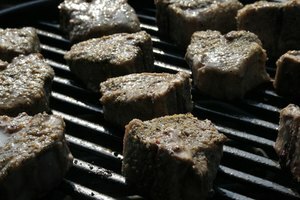 Butcher blocks are typically made of low-absorbency wood, such as maple, teak or walnut, and need three applications of Behandla to penetrate their surface. Wash the block with warm soapy water and rinse it. 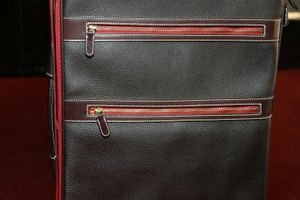 Wipe the block down with a lint-free cloth and let it dry overnight. 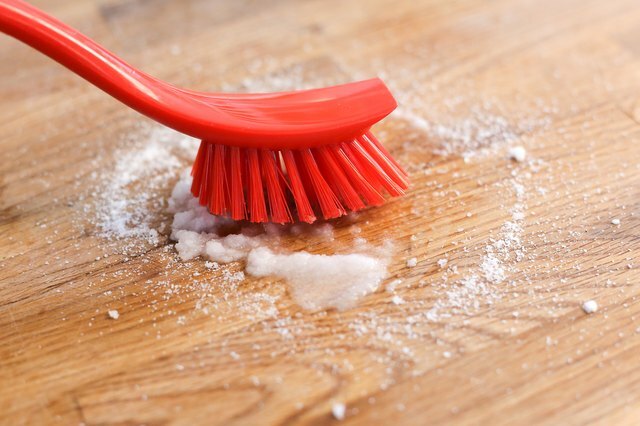 If you've prepared food directly on the block before without a cutting board, scrub the surface using a lemon-juice-and-kosher-salt paste and a nylon brush. Wash the block again with warm, soapy water and let it dry overnight. 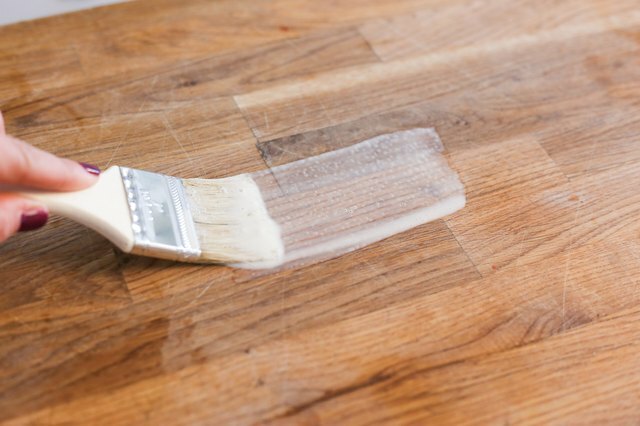 Scuff the sides, bottom and top the butcher block in the direction of the grain using a green general-purpose hand pad; one to two passes with the hand pad suffices. Shake the can of Behandla for about 1 minute. Brush on the Behandla on the top and sides of the butcher block using a square-end brush in the direction of the grain. Let the block air dry for 15 minutes. 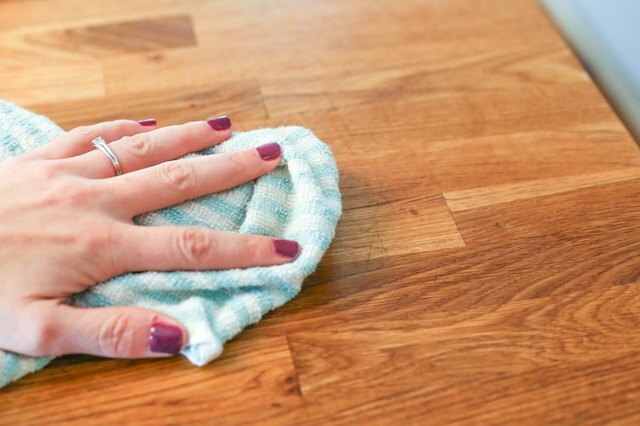 Wipe down the sides and top of the block using a lint-free or microfiber cloth to wipe away the unabsorbed oil. Let the butcher block air dry for 2 to 4 hours. 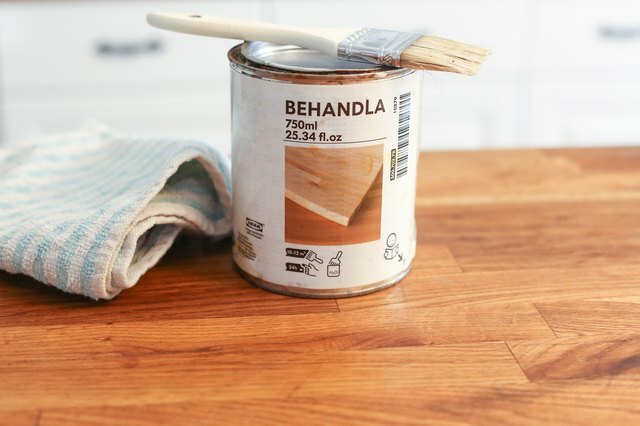 Apply Behandla two more times; wipe the block down with a lint-free cloth after 15 minutes of each application, and let it dry for 2 to 4 hours after wiping it down. Let the block air dry for 24 hours. 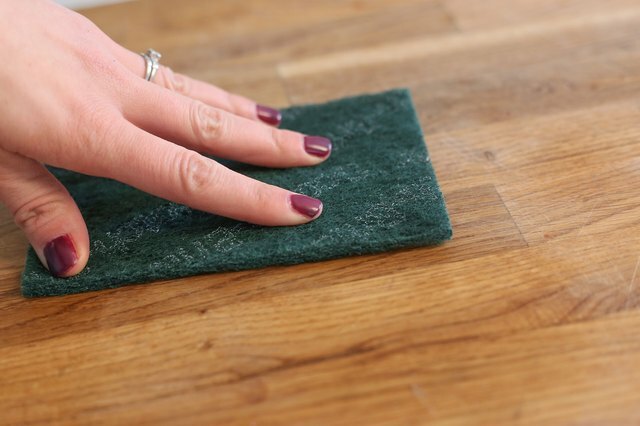 Wipe the block down once more with a lint-free cloth. 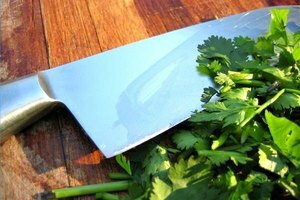 Place a plastic cutting board atop the butcher block for slicing and dicing cooked food, and never prepare raw meat or poultry directly on its surface. The scores, grooves and scratches left by the knife make the surface difficult to sanitize.